easily format and re-format bibliographies and in-text references: a great tool for quickly changing formats for submission different journals. 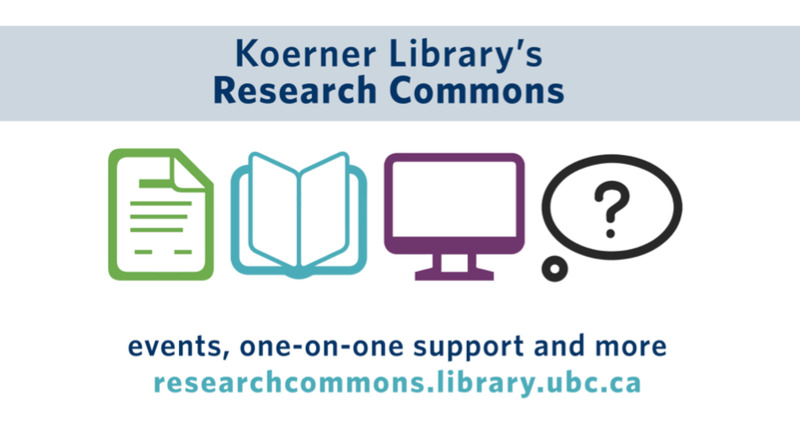 The UBC Research Commons offers workshops throughout each term on three of the most popular citation management tools: RefWorks, Mendeley, and Zotero. To view upcoming workshops and to register for a session, visit the Library Workshops and Events Calendar. Individual consultation appointments are also, via the "Consultation Request" button on the Research Commons homepage. You can also email the Research Commons at research.commons@ubc.ca.